The new 3-in-1 Soul Mist. Available now. 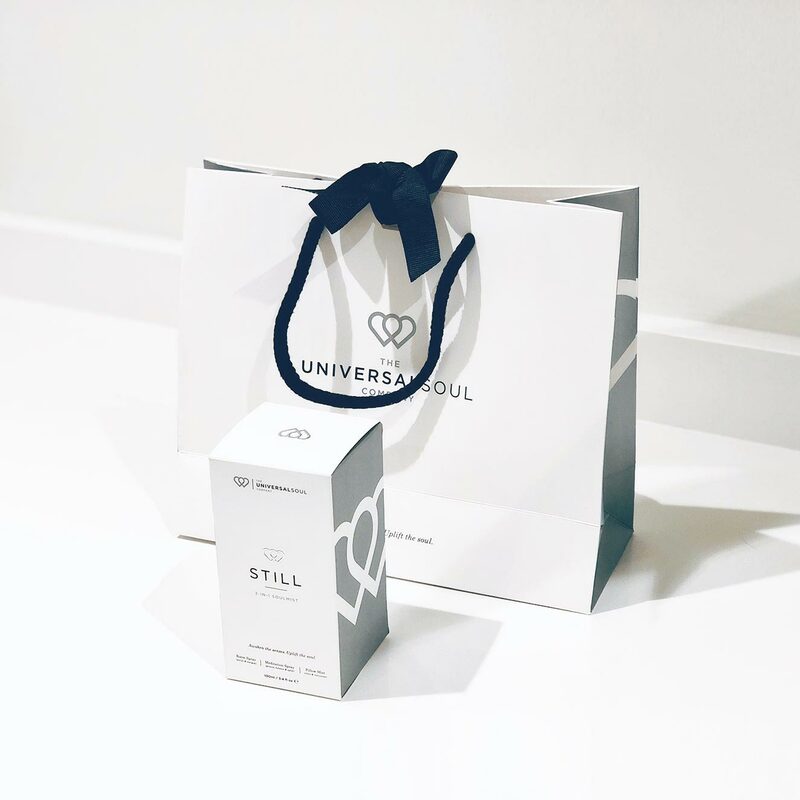 We are delighted to announce the launch of The Universal Soul Company’s first ‘own brand’ product, a 3-in-1 ‘Soul Mist’, in signature fragrance ‘STILL’. Room fragrance. Meditation Spray. Pillow Mist. This luxurious, uniquely alcohol free spray, was created with 100% natural essential oils, water energised by crystals & is hand blended in the UK to deliver the optimum environment wherever you are. Paraben/SLS Free. Designed to counter daily stress and combat environmental toxins. So how does it STILL 3-in-1 soulmist combat my stress? It does it by creating negative ions. The movement of air and water, as it’s sprayed, breaks up air molecules, which creates desired negative ions, instantly, wherever you are – similar to those you experience when close by the ocean or a waterfall. Grounding, nurturing base notes of patchouli, pure clean middle notes of lavendin & uplifting delicate top notes, create an exquisite mist, to energise by day & gift rejuvenating sleep by night. For use at home, the office, the car, yoga or pilates studio, during travel, or to create an environment of well being, wherever you are. 1. Uplifting, stress relief by day | 2. Space clearing & protection when meditating | 3. Gifts rejuvenating sleep by night. NO ALCOHOL OR ARTIFICIAL FRAGRANCE means it’s the safe choice around babies, children, pets, on fabrics, linens, soft furnishings, and for air travel. May also be sent through the post. 1. As a ROOM SPRAY – the fresh and uplifting fragrance is designed to clear and refresh the energy in a room. 2. For MEDITATION – Spritz around your silhouette to create a cocoon of protection, balance & grounding. May also be used to space clear. 3. As a PILLOW MIST (or linen spray) – Spritz onto the pillow before sleep for a rejuvenating night’s sleep – & again to awaken the senses in the morning. PURE CLEAN LUXURY. Wherever you are. Your product is also available with the option of a stunning Gift Bag. Make sure you select the Gift Bag option at the point of ordering. We offer either a Standard (3 to 5 working days) or Next Day Delivery which can be selected at point of ordering. Due to the Christmas period, we will endeavour to deliver your product as soon as possible but it may well be the New Year.